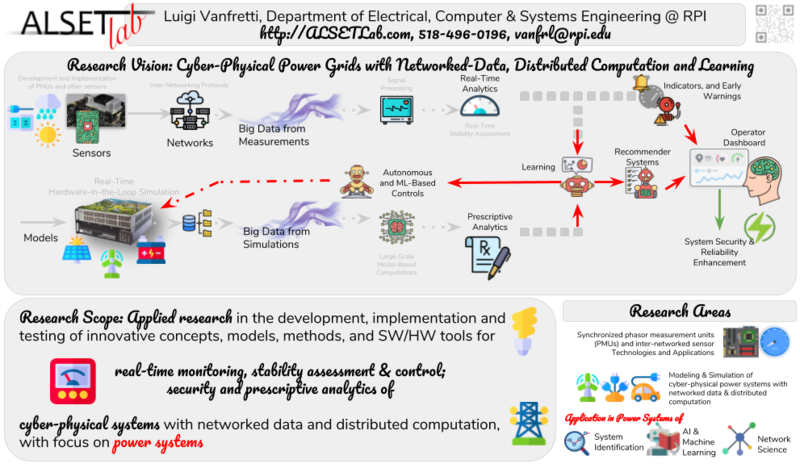 This is the website of Prof. Luigi Vanfretti and ALSETLab (a research group and a laboratory) at the department of Electrical, Computer and Systems Engineering Department of Rensselaer Polytechnic Institute, Troy, NY. If you are a student, and would like to enquire how to join my team, please see this page: Join! ALSETLab is the name of Luigi’s research group and also the real-time hardware-in-the-loop laboratory facility built for research at RPI. The acronym stands for (ALSET: Analysis Laboratory for Synchrophasor and Electrical energy Technology) and (Lab: for Laboratory). Click on “The Lab!” in the navigation bar to see what “The Lab!” is all about. Note: although the acronym is more of an excuse for using the name of Nikola Tesla... read ALSET backwards! 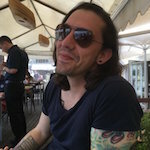 Luigi Vanfretti (SMIEEE’14) obtained the M.Sc. and Ph.D. degrees in electric power engineering at Rensselaer Polytechnic Institute, Troy, NY, USA, in 2007 and 2009, respectively. He was with KTH Royal Institute of Technology, Stockholm, Sweden, as Assistant 2010-2013), and Associate Professor (Tenured) and Docent (2013-2017/August); where he lead the SmarTS Lab and research group. He also worked at Statnett SF, the Norwegian electric power transmission system operator, as consultant (2011 - 2012), and Special Advisor in R&D (2013 - 2016). He joined Rensselaer Polytechnic Institute in August 2017, to continue to develop his research at ALSETLab. His research interests are in the area of synchrophasor technology applications; and cyber-physical power system modeling, simulation, stability and control.